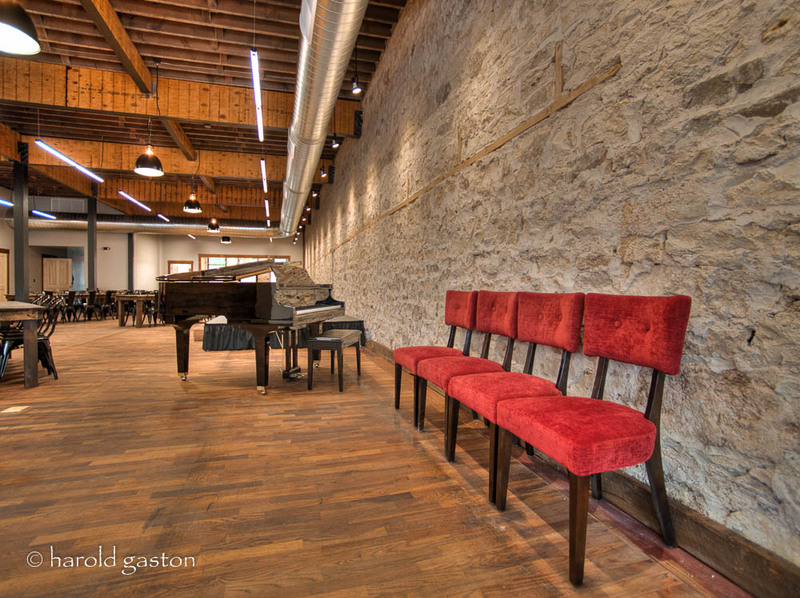 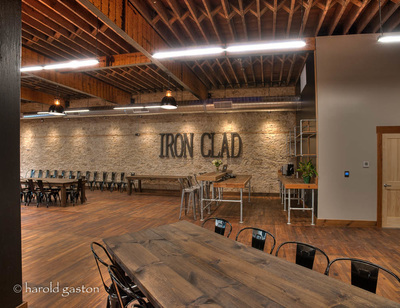 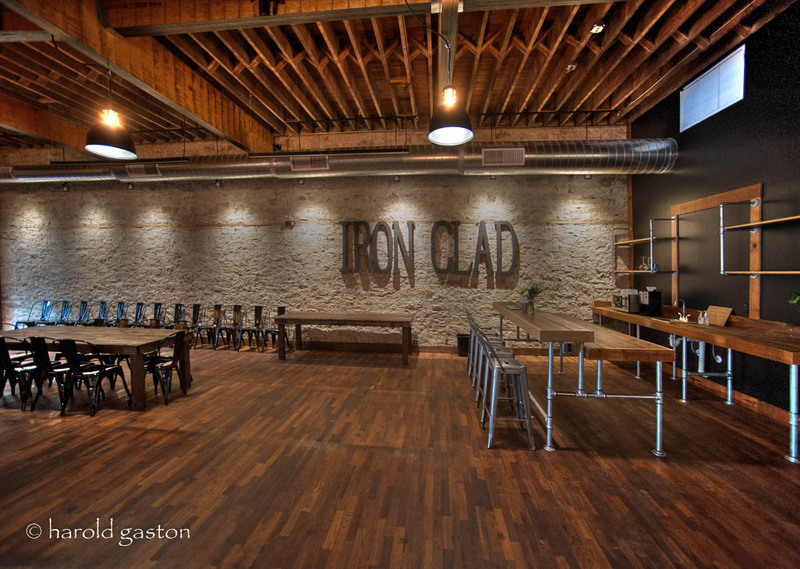 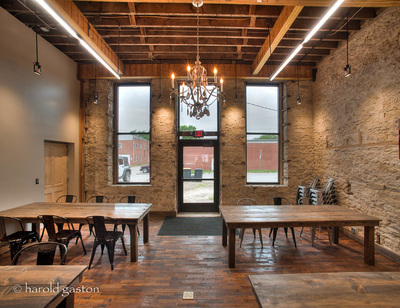 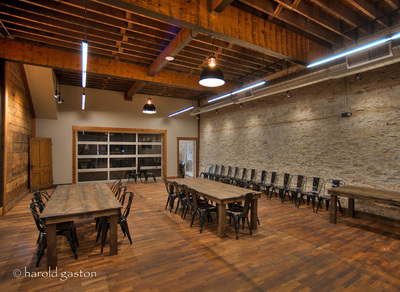 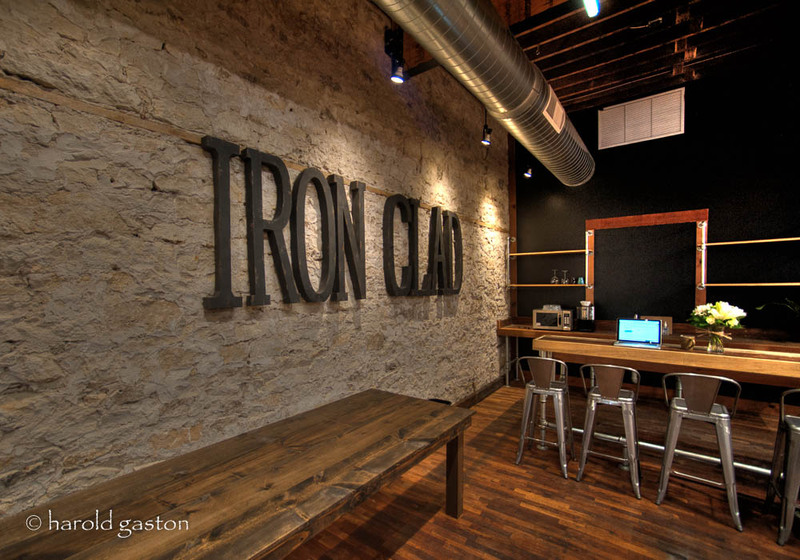 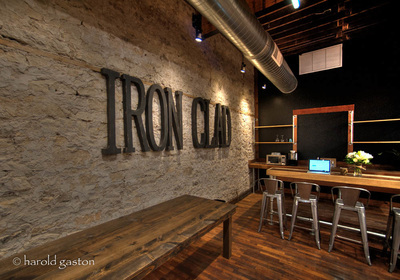 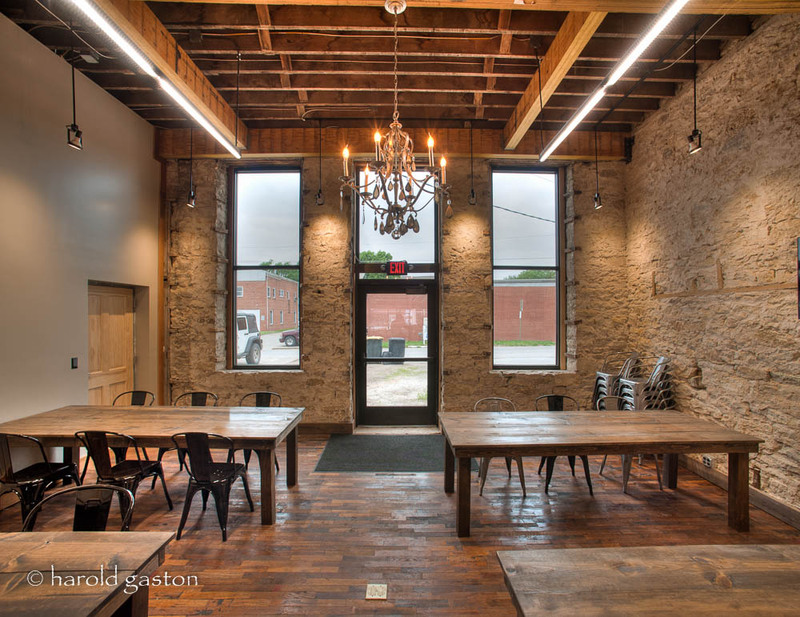 Iron Clad is a co-working and event space in the historic downtown of Wamego, Kansas. 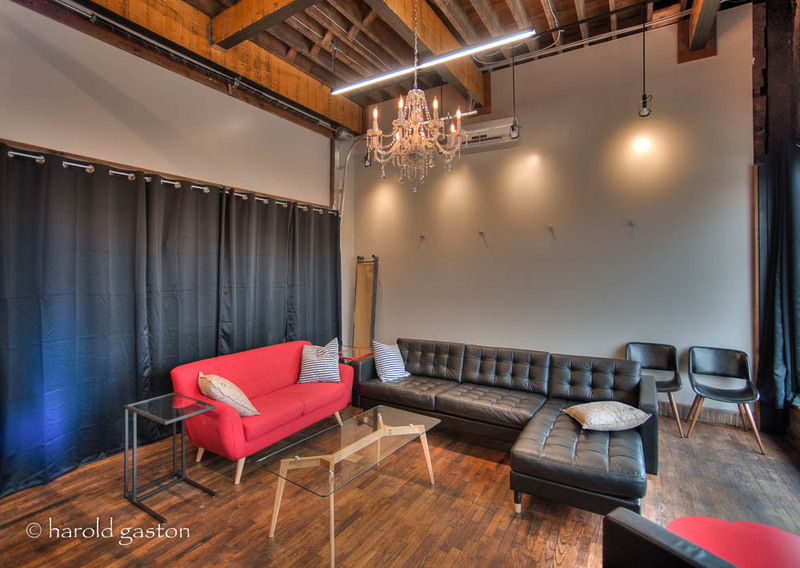 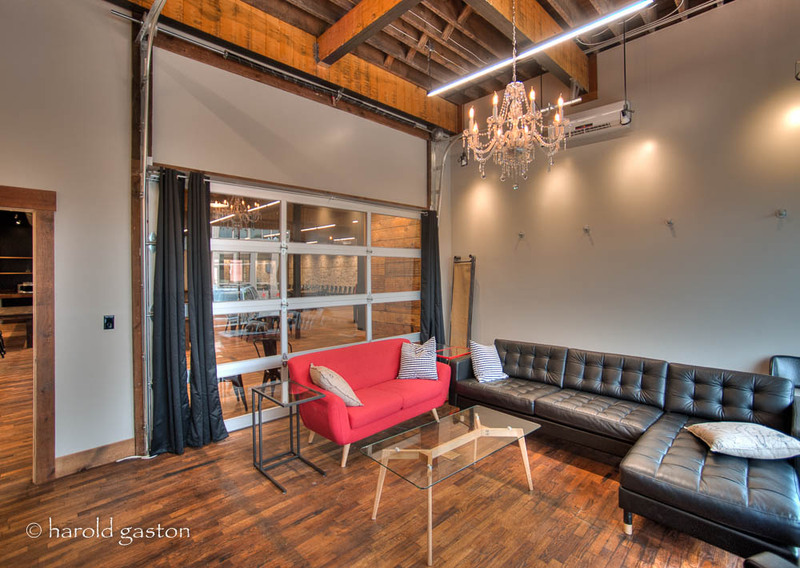 The energy the design provides matches the vision the owner had of running one of the first coworking spaces in the area. 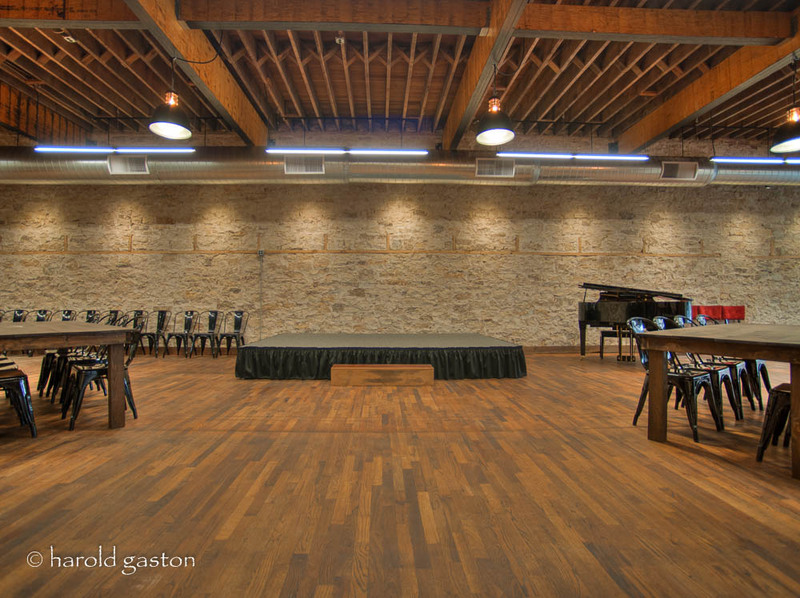 The space needed to flexible to allow for various events and functions that may be occurring at the same time. 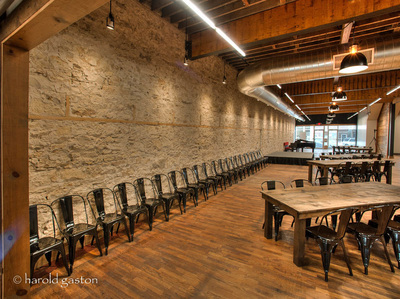 The building, originally constructed in 1884 had fallen into disrepair from its successful days as the “Duck Walls” department store. 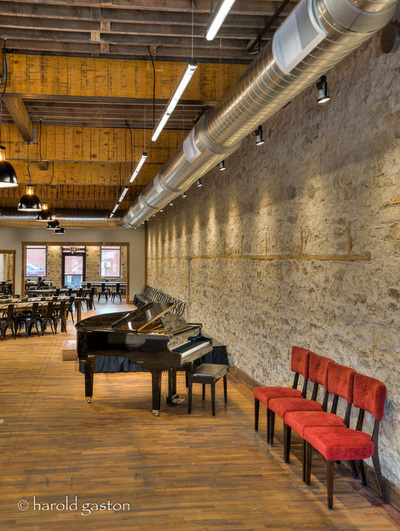 The 4,000 square foot, two story building was in desperate need of structural repair. 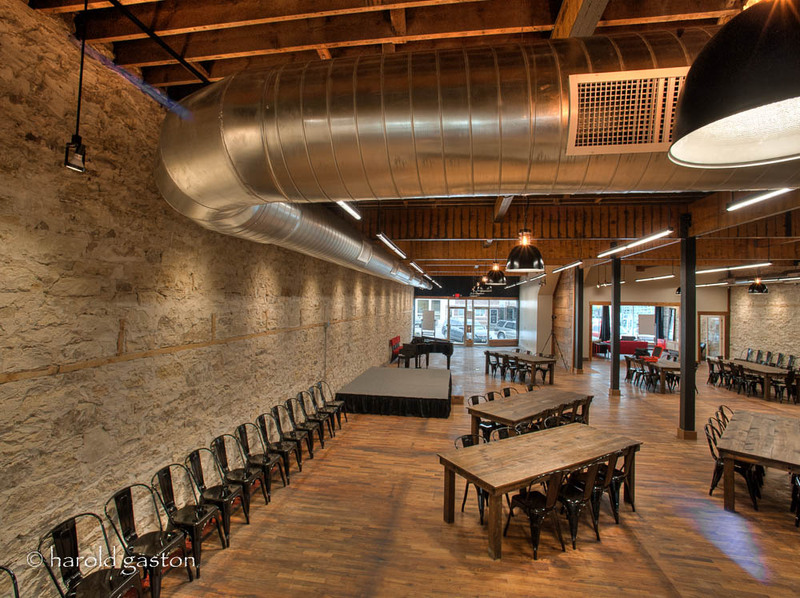 Each floor was reinforced with a new wood and steel system capable holding over 225 people, as the second floor and basement could potentially be used for larger events. 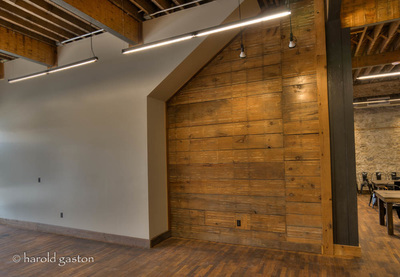 The windows along the alley side of the building had been poorly infilled with wood. 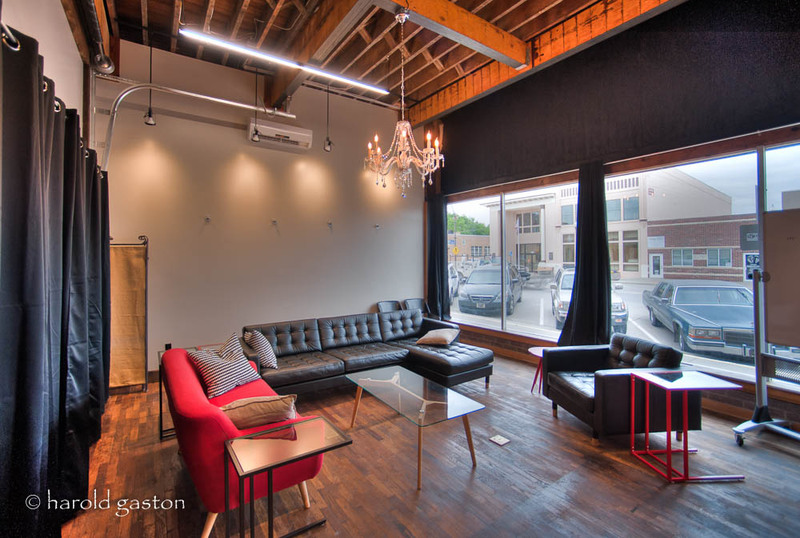 Opening the existing openings and replacing the existing conditions with storefront glazing allowed natural light to come into the space from both directions creating a more diffused and evenly lit space during the day. 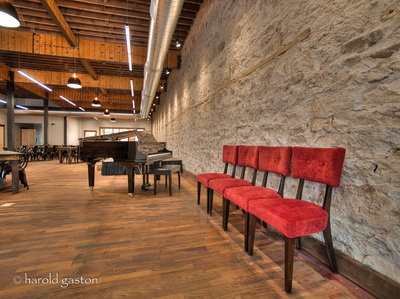 The plaster which had been badly damaged form water leaking through the roof was removed to expose natural Kansas limestone walls, a defining character of the space. All mechanical systems needed to be replaced. 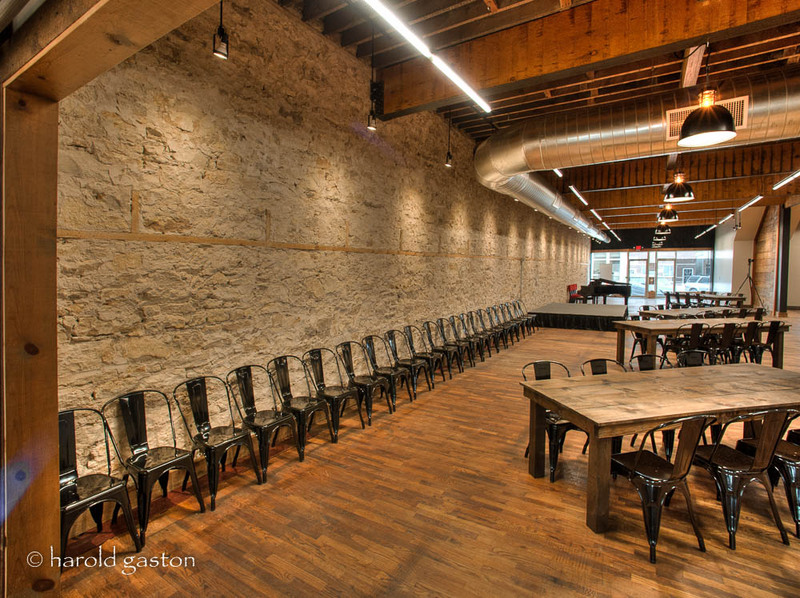 The exposed wood and steal structure, refurbished wood floors, and limestone walls give the space a genuine and welcoming feel. 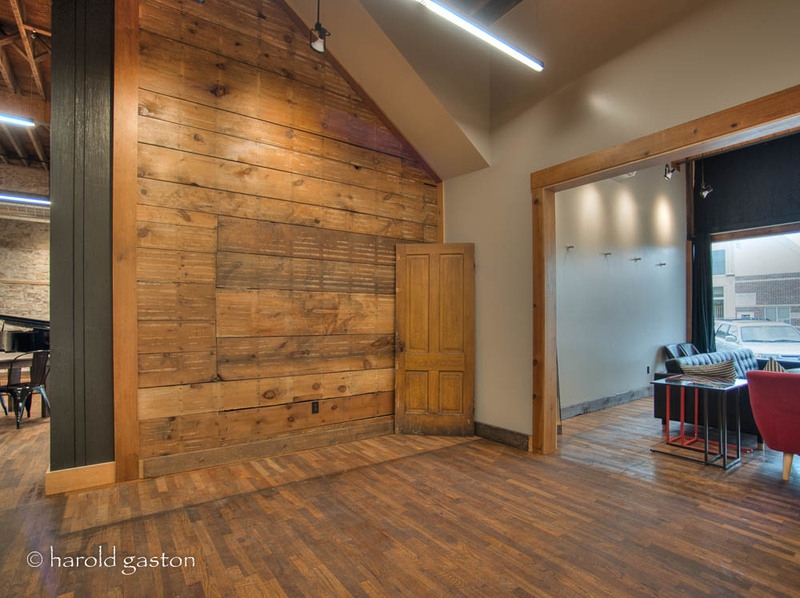 The owner wanted to do more to make the space not only welcoming but unique and modern, requesting a more industrial, steam punk feel we jumped on board. 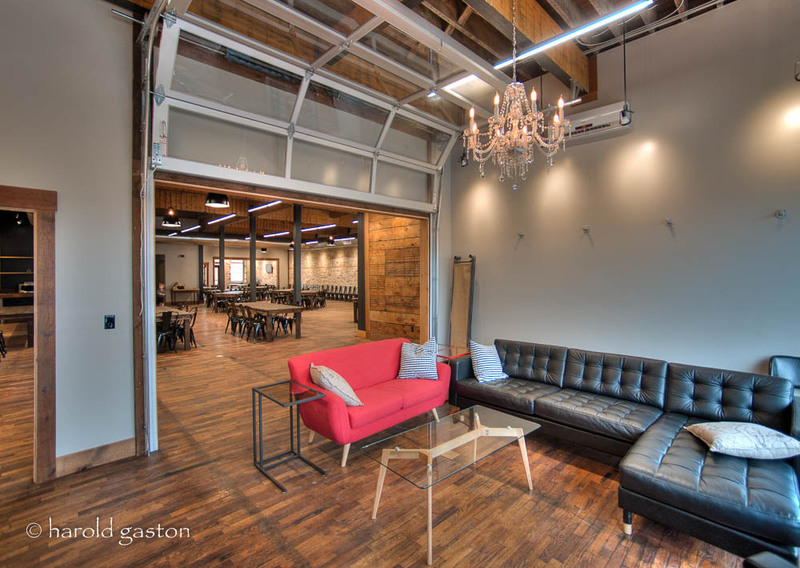 Creating a steam punk feel led to design moves like exposed spiral ductwork, glass overhead doors separating two conference rooms, and very uniquely designed hardware, lighting, and furniture. 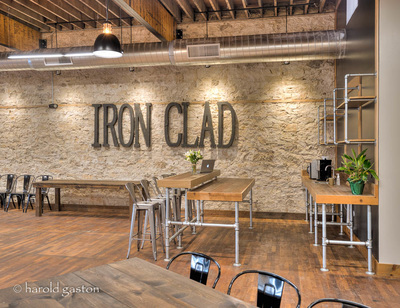 The bar consists of a solid wood top supported by metal pipes, elbows, and fittings. 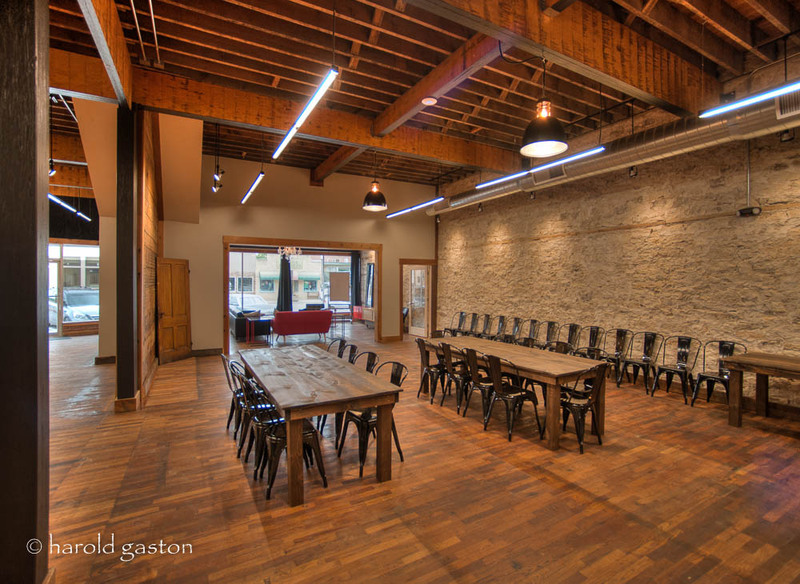 Today the coworking business is a success in the small town of Wamego as the space is so inviting and flexible. It is a popular venue for events provides a funky fresh space within its historic context.